Many challenges face the biomass thermal energy industry today, including warm winters and an uncertain legislative future for renewable energy. The 9th annual Northeast Biomass Heating Conference & Expo (NEBHX) is confronting these issues head-on, with conference tracks on policy, technical and project development, and business development. NEBHX provides an opportunity for industry, government, educational organizations, and nonprofits alike to gain a comprehensive overview on the latest developments in modern wood heating. Attendees benefit from excellent business-to-business networking time throughout the conference, and business-to-consumer sales opportunities on the expo floor. 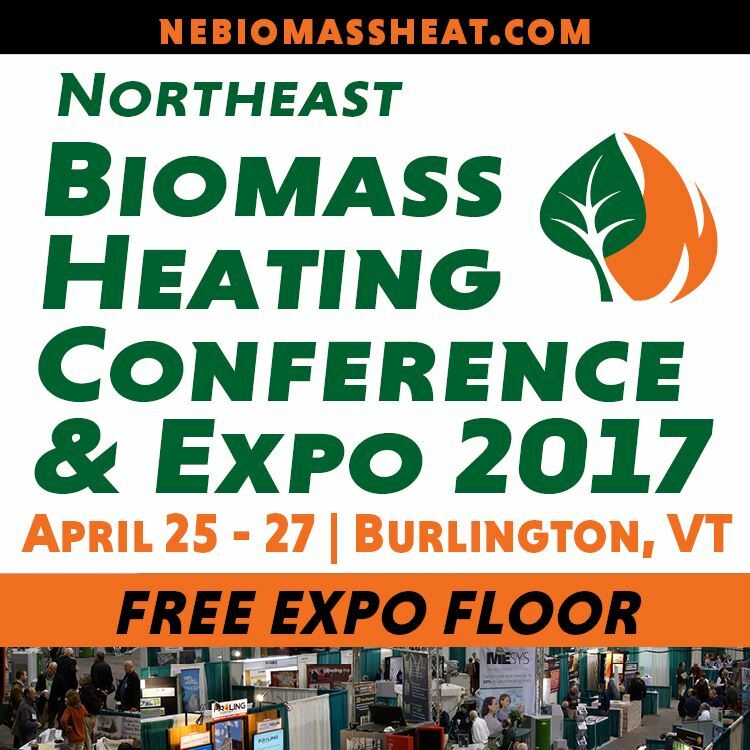 The expo floor is free to all throughout the conference, with ample opportunity to speak with exhibitors and view biomass thermal technologies up close. A boiler bus tour and a free “Biomass 101” workshop are scheduled for April 25, preceding the conference April 26-27. This can’t-miss event is the premier biomass thermal energy-focused conference & expo in the U.S., and the signature event of the Biomass Thermal Energy Council.